What's better than a day on the river? Well, not much! 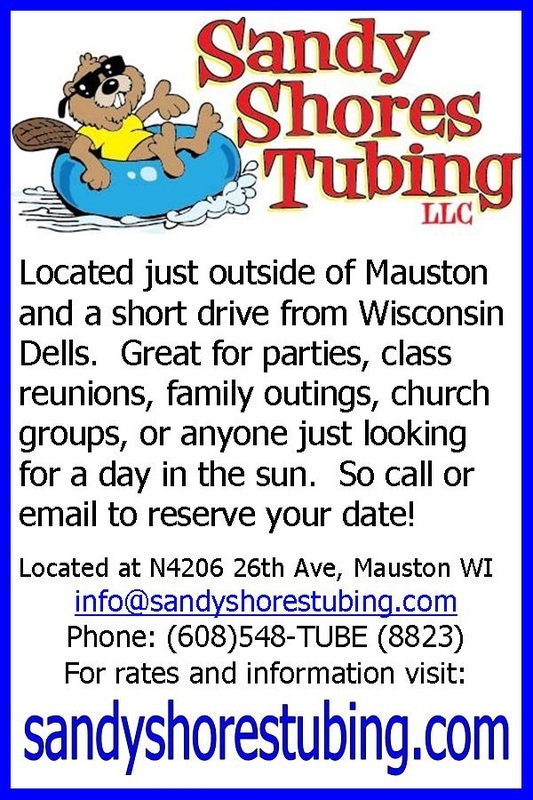 So get to Juneau County because we have miles and miles of canoeing, kayaking and tubing opportunities! And let's not forget about the 2nd & 4th largest lakes in Wisconsin, Castle Rock and Petenwell, both located right here in Juneau County! Some of our canoe trails are mapped out below. Wisconsin River Forecast Center Click on an icon in your area of interest. You will then have the ability to refine your search. Explore Wisconsin Waters - You can enter Juneau to search all of the waters in Juneau County! 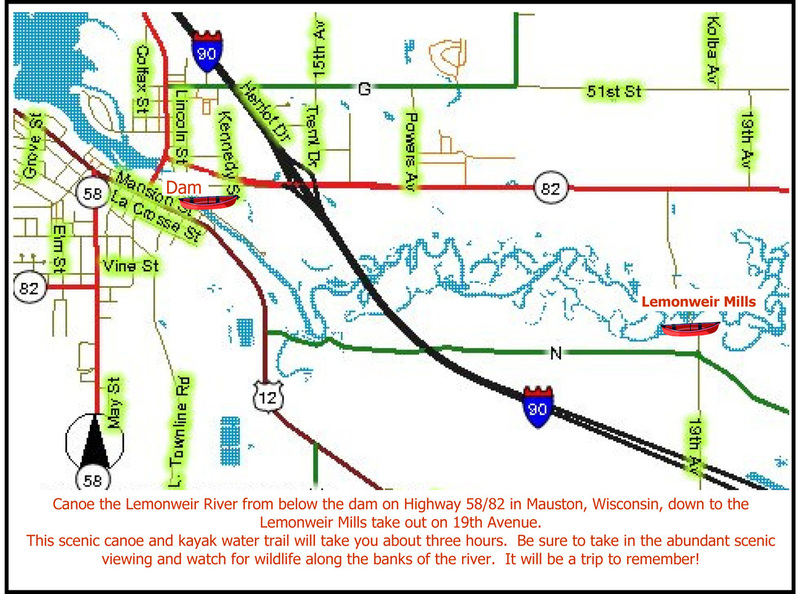 Below are several maps showing various canoe trails. You have the ability to use the magnifying glass to zoom in on some of the map. As with any river or stream, there may be downed trees that would cause you to have to portage around them. 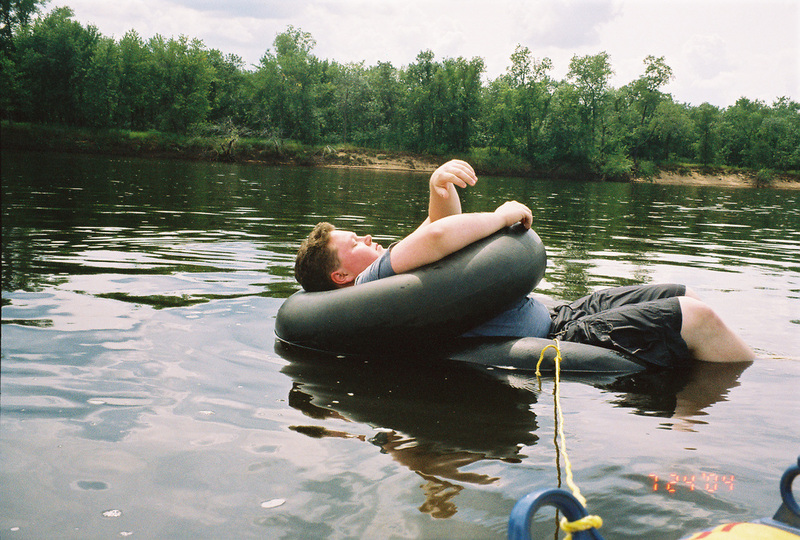 Always use caution and be sure to have your flotation devises handy! 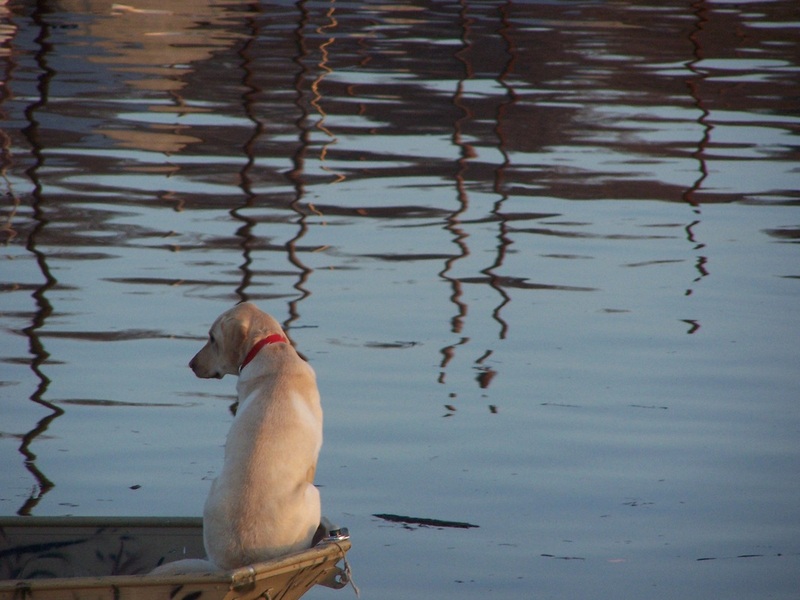 Make sure you let someone know your plans when embarking on a trip down the river, just in case of emergencies! ​There is a put in site for canoes on 37th West just a quarter mile off of County Road M, north of New Lisbon. The above map shows the take out at Kennedy Park on County Road M, however you could continue all the way to New Lisbon as shown on the map below. ​The trip from the Necedah Dam to Crappie Point take-out on Castle Rock Lake takes 4 – 5 hours and is for intermediate to experienced canoe/kayakers. There are no falls or rapids, but the swift current and numerous deadfalls in the river can make for tricky paddling. Log jams often require portages. The forest setting feels remote and offers lots of wildlife and many bird species. The trip downstream goes trough typical river bottom lowlands with lots of sloughs, potholes and meanders. The single vertical pole overhead wires are about half way to Crappie Point. The river soon splits after the half way mark and you’ll want to stay left where you’ll enter the Yellow River Wildlife Area where the river slows down as flowage waters are backed up from Castle Rock Lake. When you see the Buckhorn Bridge, go to the west shore, (right side), to get to Crappie Point boat landing area. A state park permit is required for this area. 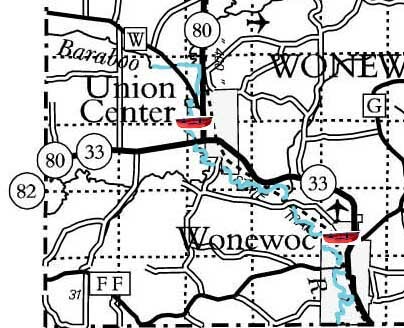 Put in at the Union Center Canoe Landing and take the 3-hour trip to Wonewoc, WI. You can rent canoes and kayaks from “Beyond Boundaries” in Wonewoc, where shuttle service is available. Call 608-464-7433, for more information or to make reservations. ​The below maps show various portions of the Wisconsin River. You can zoom in for more detail. The Red squares depict dams or impasses. ​The town of Lyndon has a public boat landing on the Wisconsin River accessed from Highway N at the end of 60th Street which requests a donation for use. Louis Bluff is the large highland just upstream of River Bay Marina. The bluff was named after the Frenchman Louis Dopless who settled here in 1846. The high wooded prominence is fronted by beautiful cliffs along the river. Traveling further down river from the River Bay Marina on the Wisconsin River paddlers experience the extremes of a lake-widening of the river and a long narrow rocky gorge. Downstream from River Bay on the right are the Palisades, towering rock formations eroded by wind and water. They signal the beginning of the Upper Dells. In this section of the Upper Dells the Wisconsin River can be extremely dangerous at high water and should never be paddled by inexperienced boaters at any water level. Big tour boats and other motorized craft oftentimes create hazardous wakes in the last four miles of this section. In "the Jaws" the river is 120 feet deep! Because of that, during the height of the tourism season thousands of people view this part of the Dells from large motor launches and other fast boats. For most people the best way to see the Dells is from a tour boat obtained in Wisconsin Dells. For experienced paddlers a good time to try this route is at dawn well before the tour boats get started. ​For skilled paddlers, the trip through the Upper Dells is quite a remarkable experience. Quite a bit of the land along both sides of the river is owned by the Department of Natural Resources so that the rugged grandeur of the Dells has been preserved in a natural state. Natural wonders in this river portion include Witches' Glen, Steamboat Rock, Cold Water Canyon, the Giant's Shield (at waterline), the Devil's Elbow, Black Hawk's Profile, and Chimney Rock. One option could be put in at the pull-off alongside County N near the head of Black Hawk Island. From this point you can paddle a route around the island and back again to avoid a shuttle or as an alternative, paddlers could continue down river into Wisconsin Dells to the municipal boat landing.